Yup... Been writing up a storm these days! 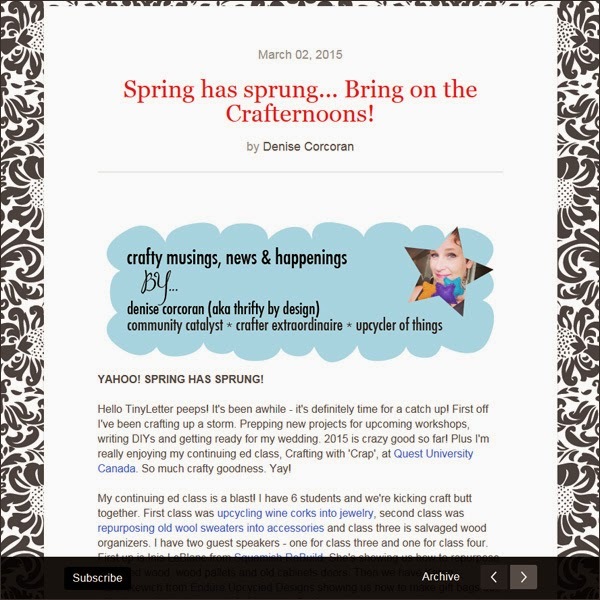 Phew... Class hand outs for Crafting with 'Craft', the TBD blog, DIYs for LowerLonsdale.ca and the weekly digest for The Makers Nation. Busy, crafty bee that I am! Just sent out my latest TinyLetter newsletter with tons of updates. Find it at www.tinyletter.com/ThriftyByDesign. Also wrote up my weekly instalment of the Makers Digest which goes out on Mondays... Lovin' my gig with the kewl peeps at The Makers Nation! 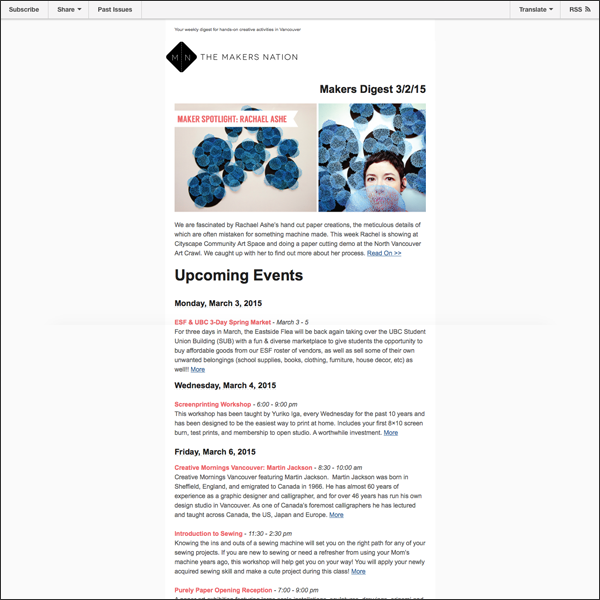 Get the details on crafty happenings in Vancouver - read this week's digest or subscribe for upcoming digests. 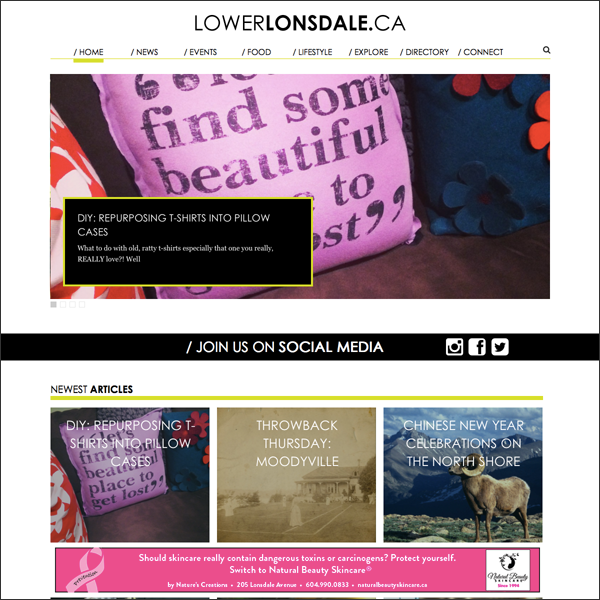 And then another DIY was posted to LowerLonsdale.ca... Find out how to repurpose t-shirts into pillow cases. I have a few more coming up so stay tuned! 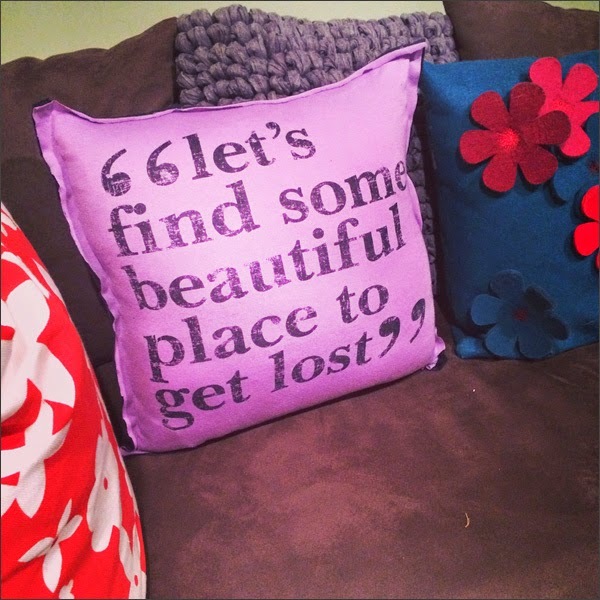 And as I write this blog post I'm looking at my t-shirt pillow cover and it's pretty nifty! Great colour and awesome quote. So there ya go... Crafting, writing, planning and feeling pretty darn fabulous! I have another BIG writing gig I'm starting up. More details to come!